A couple of months ago, I thought Azerbaijan was a country on the other side of Serbia. Geography was never one of my strong subjects. I’m quite famous for my appalling sense of direction, so my faux pas is quite understandable, at least given my peculiar logic. It was only last week that I realised exactly where it is – nestled close to Georgia and Armenia on the edge of the Caspian Sea. 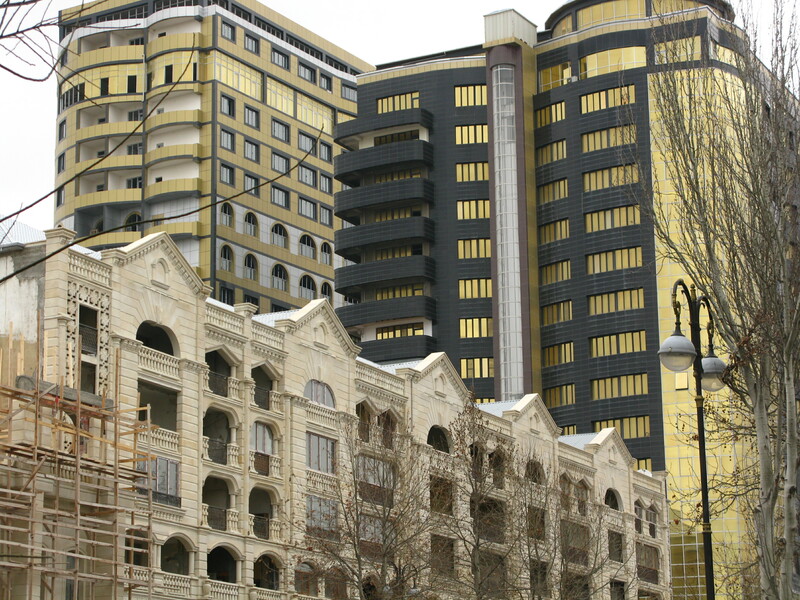 Steeped in history, religions, and rulers, and a former member of the USSR, Azerbaijan is now one of those fascinating places that seem to hover on the brink of that imaginary line between east and west. 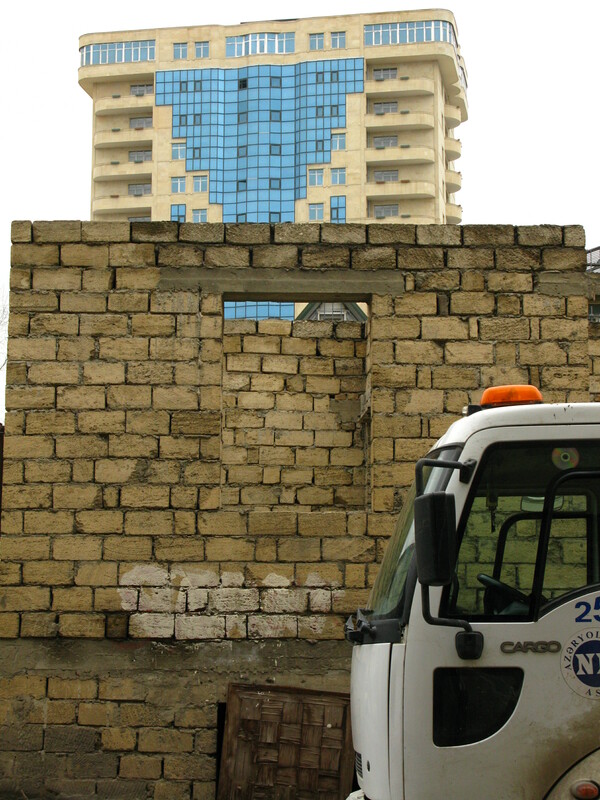 Fuelled by oil money, the capital, Baku, is undergoing a major facelift. Health and safety is non-existent. 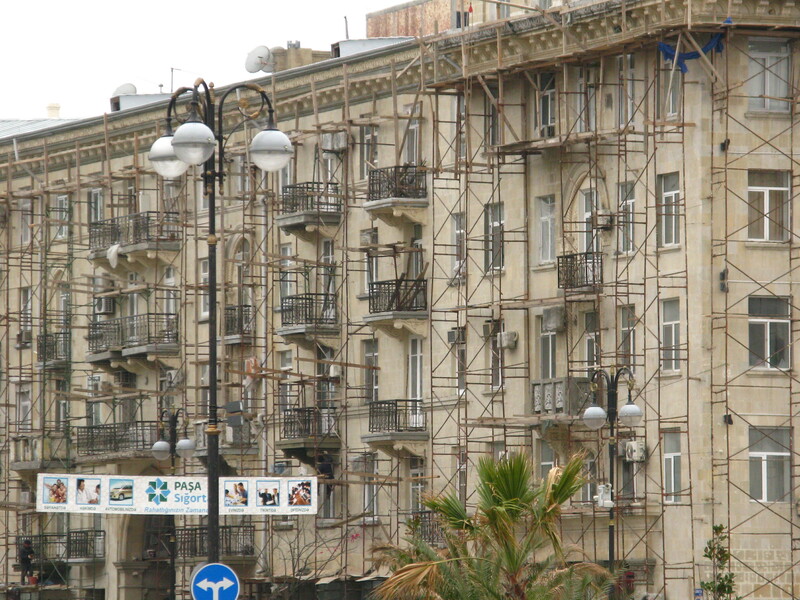 At best, you might have a lookout on the scaffolding that checks for pedestrians before his mate empties shards of brick and glass down on to the street, presumably to be swept up later. Kerbstones are nearly a foot high – you literally climb on and off the footpath – those you can find, because they’re few and far between once you come off the main streets. Walking along the sides of the roads, competing with the traffic for space, is quite the battle, one I’m losing badly. I remember being in Bangalore some years ago and being terrified of the traffic. Lakshminaryana made me walk back and forth across a very wide and busy road six times without running. He told me that no-one would run me over. Pedestrians ruled. Not so in Baku. It’s a constant game of chicken. Quite the adrenalin rush. Current score: Vehicles 27. Mary 1. And that particular showdown left me reeling! The Lonely Planet has this to say about Azeri mindset: Muslim yet beer-loving, Turkic yet Eurocentric, overwhelmingly hospitable yet plagued by a strong vein of Soviet-era suspicion. mmm…I can only assume that it was written by a man, or else the pendulum has swung towards suspicion rather than hospitality since that particular book was published. The minute I enter a shop, an assistant approaches and sticks to me like velcro. Hovering at my elbow, just looking. Always beside me. My smiles and ‘I’m just looking’ have no effect. I’m obviously not to be trusted or else customer service has been taken just a little too far along the attentive line. 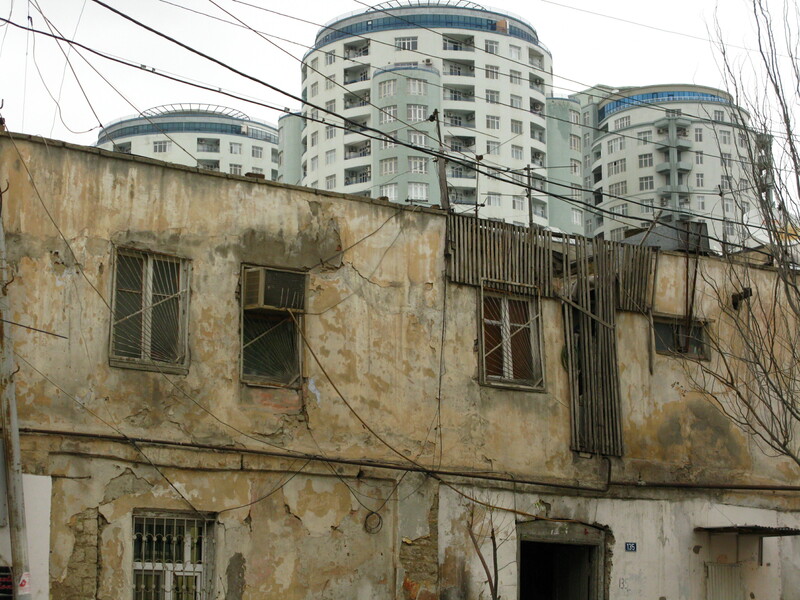 While walking around the city yesterday, I was struck by how many men there are in Baku. And more peculiarly again, the women I did see all seemed to be carbon copies of each other. Ok – it’s bloody cold here and it could well have been that they all shopped in the same place, but there was an unsettling similarity between these heavily made-up, hennaed, long-coated women – a hardness that I’ve not come across before. I keep thinking of Bangalore… walking down Mahatma Gandhi street one night, I commented to Lakshminaryana about men urinating on the side of the street. He told me that only foreigners notice because no man, while in the act, will make eye contact with anyone, and no self-respecting Indian will look his way, either. So, in effect, the peeing man is invisible. This is how I felt yesterday afternoon. Invisible. I had to pinch myself a couple of times to make sure I was awake and stopped longer than usual looking at my reflection in shop windows to make sure I was actually there. It was most peculiar. No-one made eye contact with me and I soon stopped trying to make eye contact with them. It was quite surreal. In the underground malls, those shop-lined passageways beneath the roads, people walked straight at me. I don’t think I’ve walked a straight line since I arrived in Baku. This weaving and dodging at least keeps the blood flowing. Did I mention how cold it is? I wouldn’t bank on getting that job with the Baku tourist bureau………..and from the photos I suspect that it isn’t the busiest office in the world! Tourism is very new here – to the point that it’s practically non-existent. Which is refreshing. The weather certainly isn’t helping but I’d very much like to come back late spring/early summer. From what you are saying and your recent pictures………..looks like you have discovered a place worth visiting. yes… am planning to go back again when it warms up a little.